i want inside info, or outside info. what in your experience has been the easiest places to shoplift? There's a whole thread on here somewhere about that very thing. Forum search can be your friend. okay updating this, i just looked at that thread, did not see what i was looking for. i am searching for information as follows, what stores are easiest to lift from? chain stores. which ones have theft protection agents? etc. in your experience. whoever see this, comment if you have info. PS. Loose lips sink ships. Blabbing on the internet about this BS doesnt make things any easier. I worked at a Lowe's a few years ago and their LP is pathetic. It's one room with tiny screens and the LP girl was rarely even in there. She only used the cameras to look at video of things that had already been stolen. If a customer set off the door alarms and didn't stop, you were supposed to just let them go. They pretty much profile people, too, so dress in slacks and a shirt with a collar and a nice haircut and trimmed beard and they won't even notice you. You don't need to shoplift because you could get caught and go to jail. I get most of my stuff by using catalogs. They have 'buy now, pay later' catalogs. They send the stuff out and you pay them a little each month. dr leonards. there's a lot more of them. They give credit to like anybody and you pay them like $20 each month. Look for catalogs that give 'easy credit'. Order some stuff from a catalog. they will send the stuff to you and a bill. pay them whenever you can. or don't pay them at all. I would highly suggests that you not part take in this activity unless it is out of pure desperation. I make no judgements on anyone's life style choice's unless it pertains to causing bodily harm to someone. We all need to keep in mind that certain topics can cause red flags in reference to " Big Brother ". This is the reality that we live in. I suspect if I was starving I would partake in this type of activity however in this country this is not the case. 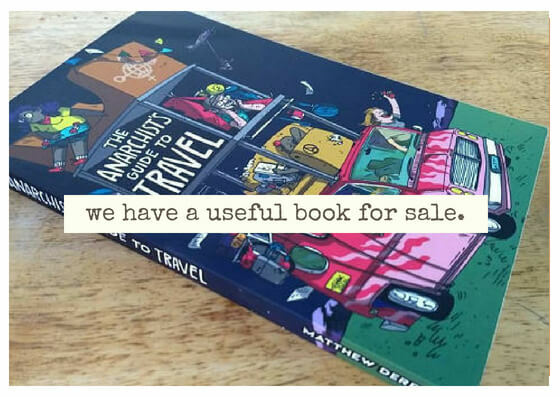 There are hundreds of creativity ways of obtaining free things while traveling the country. I think travelers in general are experts in this skill set. Long story short I am trying to say that I hope you re-think your choices in this matter. You seem like a very intelligent young man and I would hate to hear that you got arrested for something so petty. Getting arrested, jailed, paying fines, probation fees and all the BS associated with the court system can be a nightmare, especially for travelers. Either way, I wish you the best in your journeys and adventures. Stay safe brother. Rite Aid also has a no touch, no chase policy. They will walk up to you as your heading for the door and ask if you conceled something, but just say no and walk out. They will not ever do anything, I have a friend who will go in first and being that she has stolen so many items before they will instantly have 3 employees following her around which leaves no one to watch anyone else. We often use this tatic to peel them back weekly.